Very unique- my picture does not do justice! 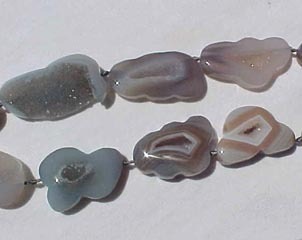 Highly polished agate, in shades of grey, blue & creams. 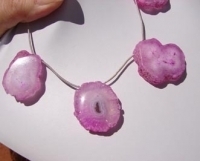 The centers are sparkling druzy. Rather freeform shape, with scalloped edges. Size averages 30-36mm long, by 18-22mm across, by 10mm thick.